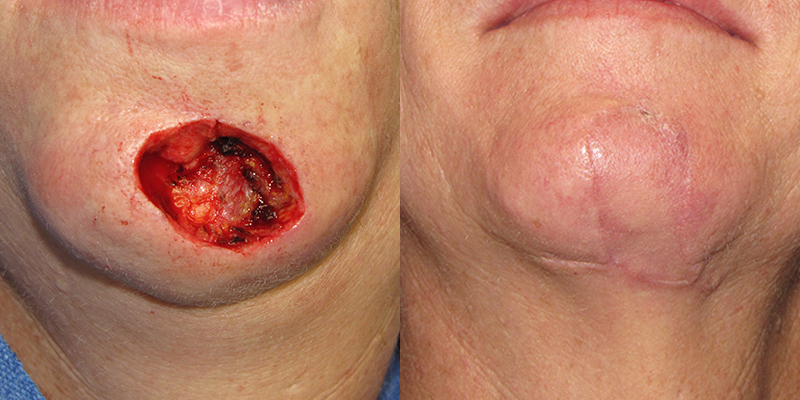 Patient diagnosed with Melanom-In-Situ of left chin. Mohs excision performed at primary dermatologist’s office. 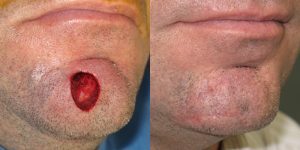 Chin reconstruction performed by Dr. Simon Madorsky at SCARS Center. 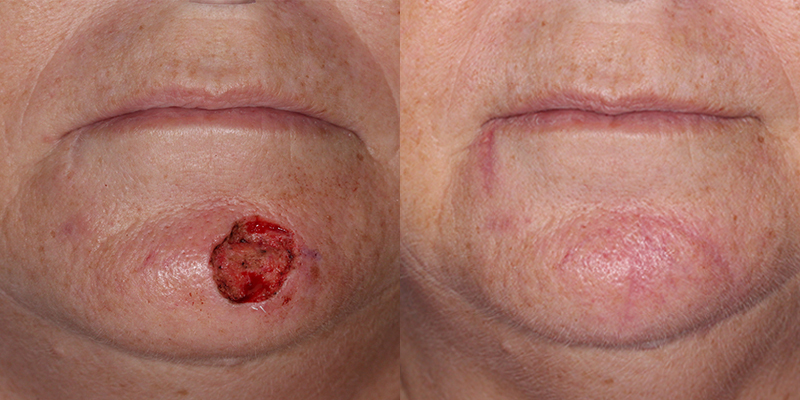 Patient presented with Basal cell carcinoma of left chin, basal cell carcinoma of cheek. 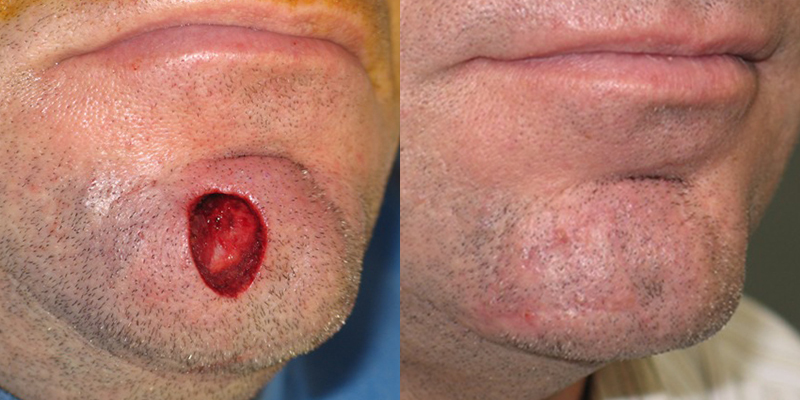 Mohs excision performed by Dr. Gregory Bartlow at SCARS Center. 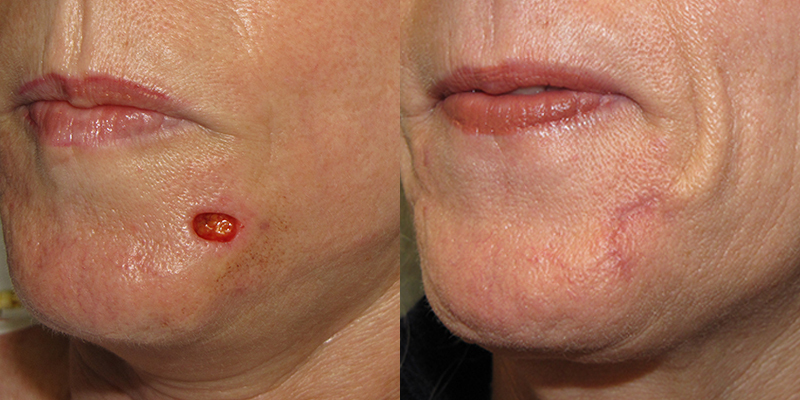 Reconstruction performed by Dr. Simon Mardorsky at SCARS Center. 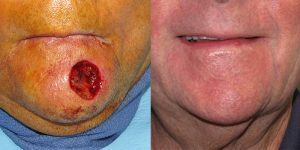 Biopsy diagnosis of SCCa and Mohs surgery by Dr. Gregory Bartlow. 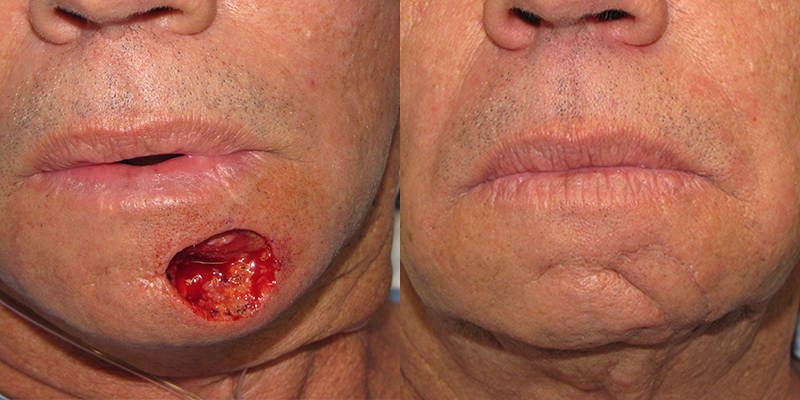 Chin Reconstruction by Dr. Simon Madorsky at SCARS Center.